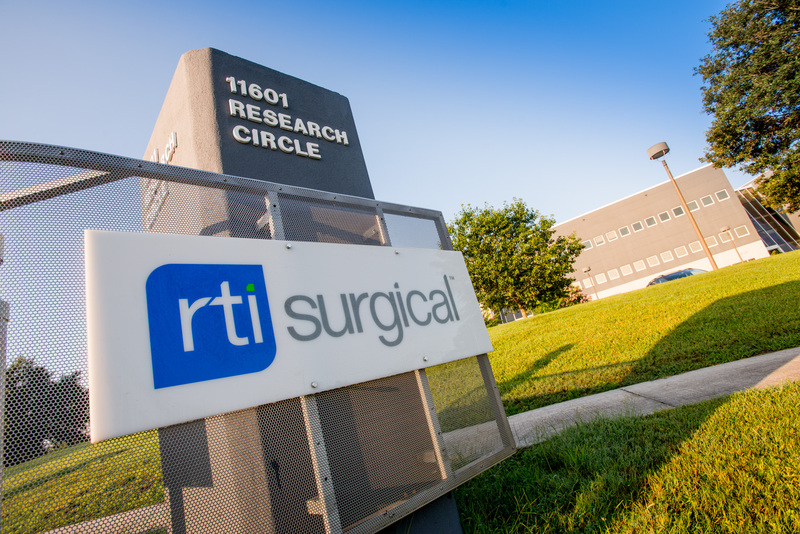 RTI Surgical® Announces Acquisition of Zyga Technology, Inc. - RTI Surgical Holdings, Inc.
Alachua FLA., January 4, 2018 – RTI Surgical, Inc. (Nasdaq: RTIX), a global surgical implant company, today signed an agreement to acquire Zyga Technology, Inc., with closing subject to filing with the state of Delaware. Zyga Technology is a leading spine-focused medical device company that develops and produces innovative minimally invasive devices to treat underserved conditions of the lumbar spine. Zyga Technology’s primary product is the SImmetry® Sacroiliac Joint Fusion System. "Acquiring Zyga Technology further advances our strategic transformation focused on reducing complexity, driving operational excellence and accelerating growth,” said Camille Farhat, President and CEO. “We are increasing our focus on both internal development and external investment, and acquiring Zyga Technology’s innovative minimally invasive treatment both accentuates our robust spine portfolio and opens significant opportunities to accelerate growth." This communication contains forward-looking statements within the meaning of the Private Securities Litigation Reform Act of 1995. These forward-looking statements are based on management’s current expectations, estimates and projections about our industry, our management's beliefs and certain assumptions made by our management. Words such as "anticipates," "expects," "intends," "plans," "believes," "seeks," "estimates," variations of such words and similar expressions are intended to identify such forward-looking statements. In addition, except for historical information, any statements made in this communication about anticipated financial results, growth rates, new product introductions, future operational improvements, gaining market share and results or regulatory actions or approvals or changes to agreements with distributors also are forward-looking statements. Additionally, the statement relating to the expected size of the SIJF market in the United States in 2024 is a forward-looking statement. These statements are not guarantees of future performance and are subject to risks and uncertainties, including the risks described in public filings with the U.S. Securities and Exchange Commission (SEC). Our actual results may differ materially from the anticipated results reflected in these forward-looking statements. Copies of the company's SEC filings may be obtained by contacting the company or the SEC or by visiting RTI's website at www.rtix.com or the SEC's website at www.sec.gov.